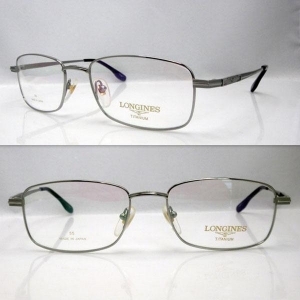 Glasses are essential part of life for those who have weak eye sight. Keeping them in good shape is certainly a pretty good idea. The frames particularly need to be clean and shiny. If you use glasses, you can very well keep them looking like new if you maintain them well. It’s not rocket science and only takes a few simple things that you need to do every once in a while. With a pair of glasses that is clean, a person gives a great impression about himself or herself in front of others. Keep them in a case to keep the impurities away. There are many kinds of cases that are available and you can pick one that you like. Make sure that the material of the case does not damage the frame of the lenses of your glasses as there are materials that look good but are impractical. One made of cloth will do just fine. In case it is one of those hard cases, have a soft cotton cloth wrapped around the glasses to avoid scratches. The new like finish of the frame will remain protected. Make sure that when they are in your use, you clean them with a piece of cloth so that the dust gets removed. If you allow the dust to settle, it will actually get engrained into the frame and soon it will become much harder to clean it. Keeping dust away will also be good for the lenses of the glasses which is important. Using rubbing alcohol can be great to keep the frames clean as it will remove any dirt from the frames. Use cotton balls when rubbing the alcohol. Give it a gentle yet thorough rub to make sure that all the debris and impurities are removed. Let it rest for a few minutes to make sure that the frame is dry. Apply a coat of finger nail polish on the metal parts of the glasses frame. Make sure that you choose a colour that matches the colour of the frames as pink may not suit them very well. Do this on the metal parts of the frame and once you are done, let the frames dry up for 20 minutes. In case they are not done completely, repeat the process. This will give the frames a new look once done.